Mortal Kombat: Armageddon is out for Xbox, Playstation 2, and for the Wii. It is categorized as a fighting game, and it has many different modes and styles of play with several characters. There are cheats and unlockables all over for this game and this article will tell about the unlockable costumes that are found in the Wii version of Mortal Kombat: Armageddon. They are unlocked while playing Konquest mode and can usually be found in a chest that is hidden. Ashrah’s Alt. Costume – While in Arctika, defeat the ice beast and then open the chest. Taven’s Alt. Costume – In Edenia, defeat the giant skulls and travel up path until ALL chests appear. This costume is in the third one on the left. Tanya’s Alt. Costume – Make it to the cell area of Shao Khan’s dungeon. Hit the ground pound icon and then go to third cell on the right for this costume. Sindel’s Alt. Costume – Do the third training obelisk. Smoke’s Alt. Costume – Defeat Smoke and the chest with this will appear. Baraka’s Alt. Costume – In the final room of Tekunin Warship, kill all foes in it and the chest will appear. Sonya’s Alt. Costume – To the left of the gate after defeating Sonya, it is in an invisible chest. Sareena’s Alt. Costume – Defeat Serenna, Kai, and Jatakka and then it will be in a chest. Reptile’s Alt. Costume – In the Red Dragon Caverns, defeat the Hybrid dragons and then open the chest. Shao Kahn’s Alt. Costume – Defeat Shao Khan’s statue and then open the chest. Bo’Rai Cho’s Alt. Costume – Defeat the Wraiths of Shinnok’s Spire and open the chest that appears. Kobra’s Alt. Costume – Behind the first monoth in Botan Jungle, in an invisible chest. Sub Zero’s Alt. Costume – After the fight with sub zero there will be a chest to the right of the statue of your mom. Fujin’s Alt. Costume – At the beginning of the Charred Mountain, defeat all of the red dragon soldiers. Hotaru’s Alt. Costume – In the second room of the Tekunin Warship, it’s in a chest close to the wall. Goro’s Alt. Costume – In Shao Khan’s Fortress on the left side on the first area it is in an invisible chest, to the right of a note. Havik’s Alt. Costume – In the second area of Shinnok’s Spire and defeat all of the demons. Shinnok’s Alt. Costume – In Netherrealm with the falling rocks, go to the left side and open the chest. Jade’s Alt. Costume – At the beginning of Lin Kuei palace kill the lin kuei, and then a chest will appear. NightWolf’s Alt. Costume – In Edenia, after defeating the giant skulls, walk the path to where all the chests will appear. It is in the first one on the right. Shujinko’s Alt. Costume – In one of the cells after the defeat of the Executioner in Shao Khans’ dungeon, hit the ground pound icon for this. Noob Saibot’s Alt. Costume – The first time you get shadow ninjas in Lin Kuei palace, defeat them all and open the chest. Nitara’s Alt. Costume – After killing the undead revenants in netherrealm for the first time, down the left cliff not the right, open the chest there. Jarek’s Alt. Costume – Where you are fighting the Ice Scepter, there will be chests, this is on the right. Raiden’s Alt. Costume – After fighting Shao Khan Collosus, go to the first room on the left for this costume. Jax’s Alt. Costume – Enter Arctika, go to the left and find the invisible chest. Kira’s Alt. Costume – In the Botan Jungle, step on the second giant spider. Rain’s Alt. Costume – End of the Arctika area where you will be attack by red dragon spies and before you meet rain there will be a chest to open. Li Mei’s Alt. Costume – In Second Area of Shinnok’s Spire, there will be an invisible chest. Liu Kang’s Alt. Costume – Enter Shao Khan’s Fortress, run to find an invisible chest. Darrius’ Alt. Costume – Beginning the Lin Kuei Temple there is an off color wall, right around where you are attacked by lin kuei archers. It is behind the wall. Motaro’s Alt. Costume – After doing the third training obelisk where you are gathering crystals, go to the left and open a chest. Mavado’s Alt. Costume – After you receive Supermove: Time Stop, in the left part of that room is an invisible chest. Mileena’s Alt. Costume – After winning over Mileena, hit the ground pound and open the chest that appears. Reiko’s Alt Costume – In Shao Khan’s Fortress, in the first area with the blades down that hall to the left, it’s in a chest. Cyrax’s Alt. Costume – In the third room of Tekunin Warship, kill all enemies and open chest. Kano’s Alt. Costume – To the left as you go into the last room in Temple of Argus, it’s in an invisible chest. Kai’s Alt. Costume – There is a breakable wall to the right in the third area of lin kuei temple entrance in arctika. It’s an invisible chest. Quan Chi’s Alt. Costume – In the tunnel after you go through Door A1 in Red Dragon caverns, step on a rat. Johnny Cage’s Alt. Costume – Defeat tengu guards at the start of arctika and open the chest. Shang Tsung’s Alt. Costume – Hit the ground pound icon at the beginning of Shao Khan Fortress. Errnac’s Alt. Costume – By the left wall where you are attacked by red commandos for the second time, it’s in a chest in there. Dairou’s Alt. Costume – At the end of the second ice hallway at the start of lin kuei temple, its in a chest there. Drahmin’s Alt. Costume – After you defeat Drahmin in the netherrealm, shoot the bat over the cliff and the chest appears. 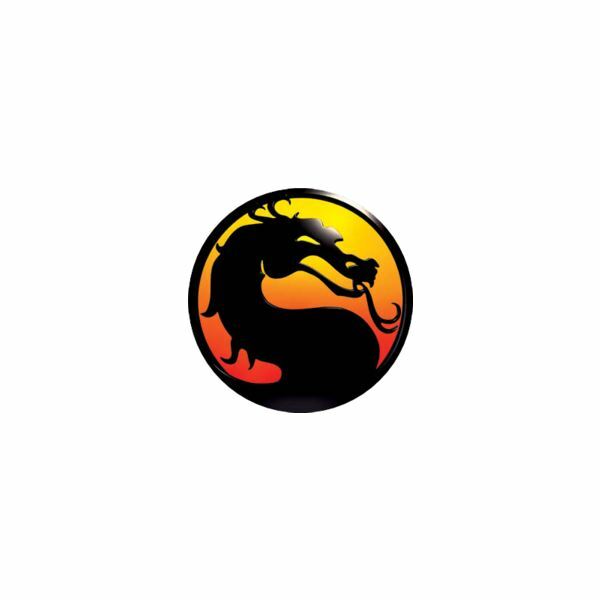 A collection of all the cheats and unlockables for Mortal Kombat.